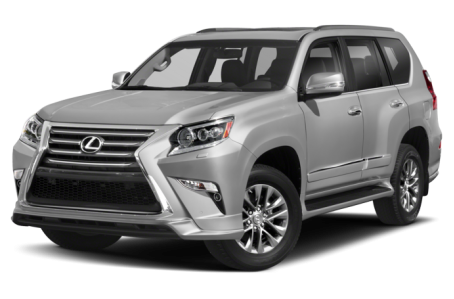 The 2019 Lexus GX 460 is a mid-size luxury SUV that seats up to seven passengers across three rows. It competes with the Lincoln MKT, BMW X6, and Acura MDX. Powering the GX 460 is a 301-hp, 4.6-liter V-8 engine mated to a six-speed automatic transmission and four-wheel drive. Maximum cargo capacity is 64.7 cubic feet with the rear seats folded down. Three trims are available: the base model, Premium, and Luxury.